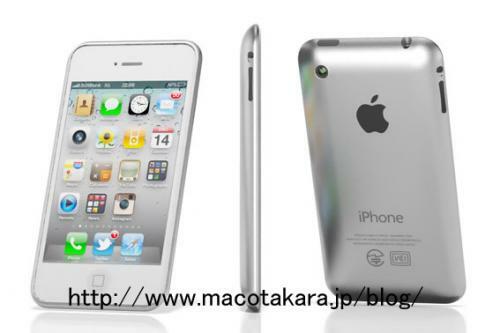 iPhone 5 to Get Aluminum Backing, Redesigned Antenna? Decision to design similar to iPod touch instead of using glass is supposed that Apple seems to stop problems which are told widely damages from scratching, difficulties of painting white and weight of glass. The antenna will also be redesigned which means Apple will also be abandoning the current external iPhone 4 antenna design. The iPhone 4 antenna was the source of a major controversy over signal loss and attenuation when it was held in a certain way. The iPhone 5 is also said to have the new Apple A5 processor and will likely be announced in June/July.